Puerto Vallarta, Mexico is one of our favorite travel destinations whether we are on a family vacation or a romantic getaway as a couple. 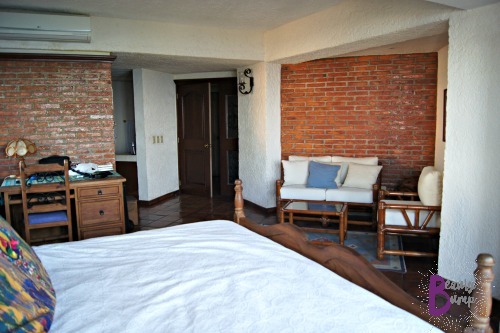 During the research phase of our first trip to Puerto Vallarta, we found that a vacation rental was our best option if we wanted to get the best out of our visit to this beautiful coastal town, and we did, which is why we chose the beautiful hacienda-style rental condo, Casa Aneila. 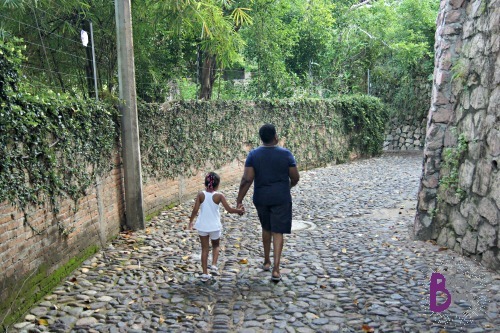 Each visit to Puerto Vallarta has been spent there ever since. Casa Aneila is spacious! The condo is over 2,000 square feet, with a full kitchen, living area, and two bedrooms each with an ensuite. The Master bedroom has a comfortable King bed, a vanity area with walled closet space that leads into the bathroom with a deep Jacuzzi tub that we all love, even our daughter. The guest bedroom is equipped with two single beds that if needed, can be put together to make a King. The bathroom although not as large as the master, is a good size and features a glass-enclosed shower, and it can open up into both the bedroom and hallway for easy access when guests are over or if you’re in the living room watching your favorite show on the provided Apple TV. 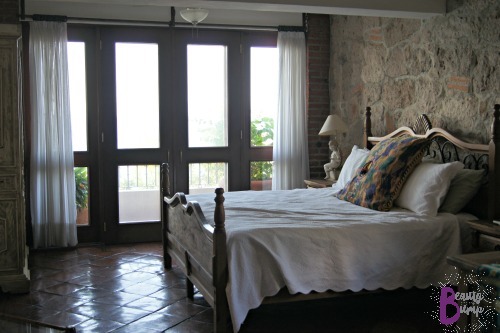 Writing this post already has me wishing we were back on the private terrace of Casa Aneila that leads from either of the two bedrooms or the living room that offers gorgeous views of Banderas Bay and Conchas Chinas beach, which is only a three-minute walk from the condo. In fact, the beach is so close that we’ve visited at least twice per day. If the beach isn’t your thing, you can cool off in the pool located in the courtyard of the complex. There’s also a gym and sauna access available to guests. 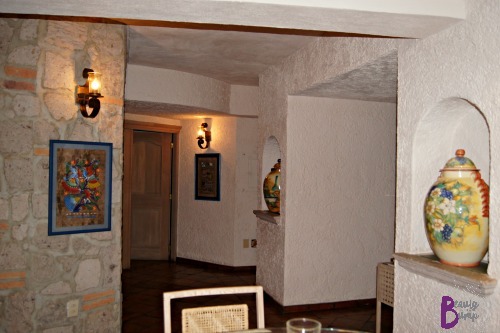 Casa Aneila is conveniently located next door to an OXXO, a 24-hour convenience store. They sell everything from milk to eggs to cold cuts to canned goods, and even Kinder Egg Surprise. During all of our visits there, it took just one visit with our 4-year old for us to figure that out. Guess what? She expected to take a walk to the OXXO as soon as the sun rose just to get one. If the OXXO doesn’t have what you need, there’s a bus stop a 2-minute walk away that can take you into town (Old Town, Los Muertos Beach), which is at least a 15-minute walk away from the condo or in the opposite direction to Mismaloya to the Puerto Vallarta Zoo or Botanical Gardens. 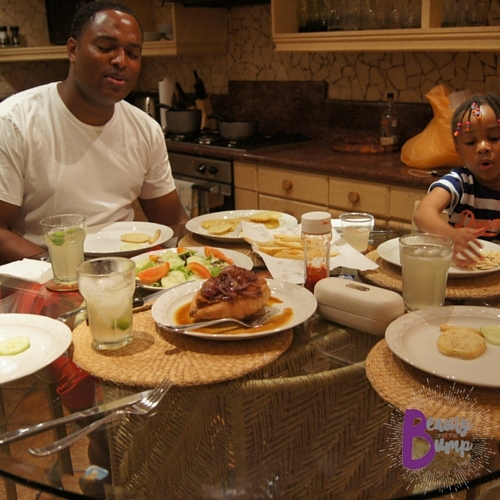 When on vacation, the last thing anyone wants to do is cook, but eating out, especially when traveling as a family can get expensive. We love that Casa Aneila has a full kitchen available for us to use making it easier (and cheaper) for us to eat when we want, even after restaurants have closed. During our last visit, having a kitchen came in handy since we had our four-year old with us. She loves warm strawberry milk, and we’ve had negative experiences at hotels where we’ve requested warm milk to only have it piping hot, to then have to deal with a raging toddler after. Having the kitchen prevented that, and allowed us to have a date night out because my mother-in-law was able to stay in, and cook a meal for our daughter while we enjoyed our evening together. One of the benefits of staying at a hotel is having our sheets turned down at night, and housekeeping coming to clean daily. 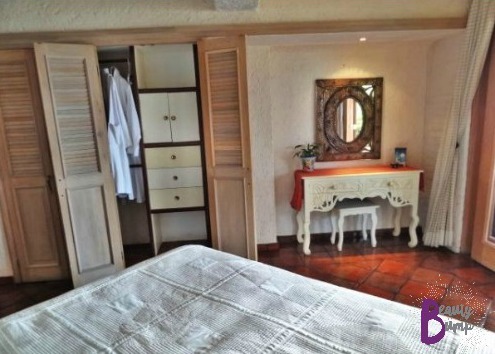 At Casa Aneila, with a 7-day rental, maid service is available for free twice during the stay, and cost $436.72 pesos or $23 USD for any additional days. The owner of Casa Aneila, Melanie is wonderful to work with. She’s friendly and accommodating. She’s equipped her condo with everything anyone would need for a beach vacation including beach chairs. She also has a reliable property management company that she uses that can arrange anything for you like tours, cleaning and laundry services. I even arranged to have a birthday floral arrangement for my husband set up in the condo for the day of our arrival. alone as a couple. Situated in the most beautiful and tranquil tropical setting, it’s convenient location to the beach, and onsite accommodations make it the place for us to use over and over again. We think you would love visiting there, too. 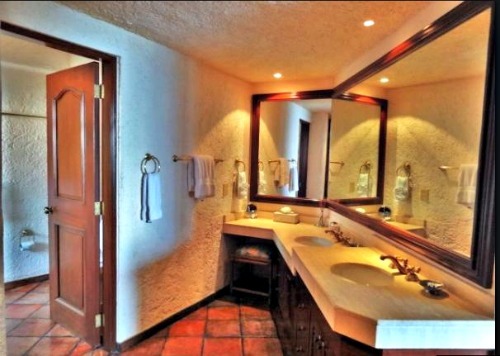 Casa Aneila is located at #864 Barra de Navidad, Lower Conchas Chinas, Puerto Vallarta, JAL 48399, Ciudad de México, Distrito Federal,Mexico. If interested in visiting, check here for availability. 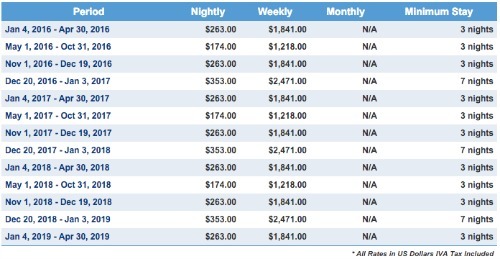 When vacationing, are you like us and you prefer a vacation rental? Leave a comment and let me know what you enjoy about vacation rentals.